Update 18 June 2017: our considered view on all of this, including three options for what to do next – addressed to President Erdogan. Update 18 June 2017: Yahoo 7; Courier Mail; Stuff Co NZ; Daily Mail; News Limited; West Australian; Michael Smith News. Update 17 June 2017: story picked up by New Zealand Herald. 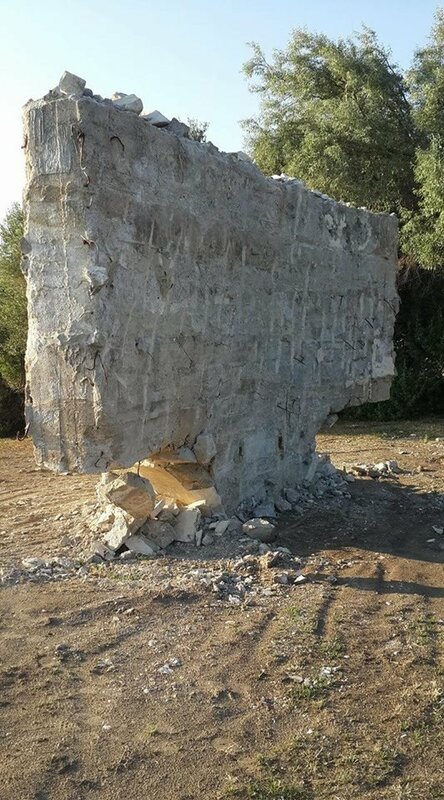 Update 16 June 2017, 2.30 pm: Paul Daley in Guardian Australia considers what might be behind the damage to the memorial: ‘Turkish Islamist push may be to blame for removal of Atatürk inscription at Anzac Cove’. Comment from Resident Judge blog. Since around 19 May, however, the famous memorial has looked like this. The Turkish Government have advised the Department of Veterans’ Affairs they are undertaking refurbishment work on Turkish memorials on the Gallipoli Peninsula. No Australian memorials or cemeteries are affected by this work. The Australian Government is grateful for the work of the Turkish Government in ensuring the Peninsula remains in good condition and is cared for in perpetuity. We are still intrigued and are investigating further. Watch this space. 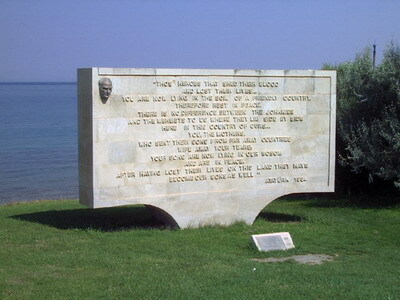 * There is no strong evidence that Ataturk ever said or wrote these words. See the material under our thumbnail ‘Talking Turkey‘ as well as chapter 7 of The Honest History Book.